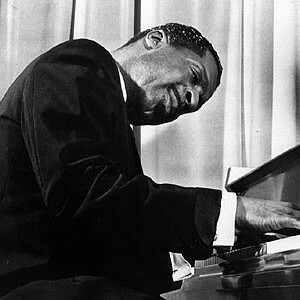 Erroll Garner (1921?1977) was a U.S. jazz pianist and composer, whose distinctive and melodic style brought him both popular acclaim and the admiration of his peers. Erroll Louis Garner was born on 15th June 1921 in Pittsburgh, Pennsylvania, and began playing the piano at the age of three. At the age of seven he began appearing on radio station KDKA in Pittsburgh with a group called the Candy Kids. By the age of eleven he was playing on the Allegheny riverboats. At the age of fourteen in 1937 he joined local saxophonist Leroy Brown. Erroll Louis Garner was born on 15th June 1921 in Pittsburgh, Pennsylvania, and began playing the piano at the age of three. At the age of seven he began appearing on radio station KDKA in Pittsburgh with a group called the Candy Kids. By the age of eleven he was playing on the Allegheny riverboats. At the age of fourteen in 1937 he joined local saxophonist Leroy Brown. He played locally in the shadow of his older pianist brother, Linton Garner, and moved to New York in 1944. He briefly worked with the bassist Slam Stewart, and though not a bebop musician, in 1947 he played with Charlie Parker on the famous "Cool Blues" session. Although his admission to the Pittsburgh music union was initially refused because of his inability to read music, they eventually relented in 1956 and made him an honorary member. Garner is credited with having a superb memory for music; after attending a concert by the Russian pianist Emil Gilels, Garner returned to his apartment and was able to play a large portion of the performed music. His 1955 recording Concert By The Sea ranks among his very best work. Ironically this recording of a performance at an army base in Carmel, California, featuring Eddie Calhoun on bass and Denzil Best on drums, was made using relatively primitive sound equipment, but Garner's inventiveness and swing made its point in each tune. Other notable works include 1951's Long Ago and Far Away and 1974's Magician, both of which see Erroll perform a number of classic standards in his own style. Often the trio was expanded to add Latin percussion, usually a conga, with electric results. What made Erroll easy to recognise were his trademark introductions, that seemed to make no sense but broke dramatically into his exposition of the tune he was to play, and the guitar strummimg sound of his left hand, playing crotchet accompaniment to his rich-sounding right hand. This approach suggests that he was influenced by the iconic rhythm guitar work of Count Basie's long time guitarist, Freddie Green. But discerning listeners could find that while his even-four left hand was a fixture, it was far from being the only rhythmic approach he took to playing.